Stirling’s inaugural marathon reached capacity months before the event in 2017, with 6,500 people signing up for the run through the heart of Scotland back in May. Now organisers the Great Run Company have unveiled the new route for the marathon, which takes place on Sunday 29 April 2018. 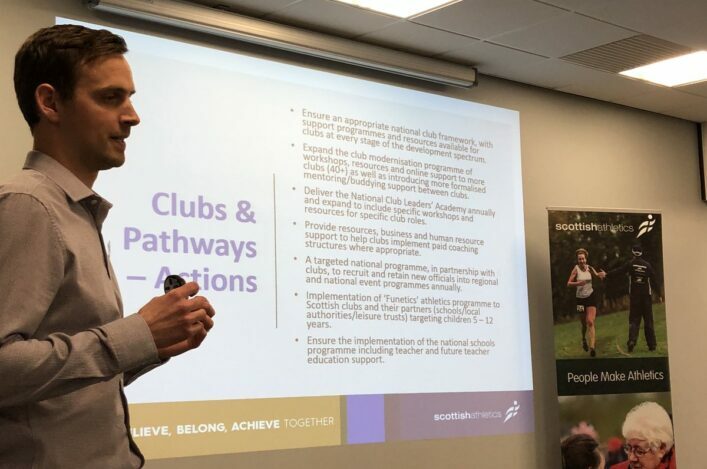 And, following two years in which the London Marathon has hosted the Scottish championships, the Road Running and Cross Country Commission have taken a decision to give the event championship status in its second year. It means medals will be up for grabs for individuals and for teams on April 29 – runners with a valid scottishathletics membership will be eligible for those medals. Following constructive feedback, a new and improved course has been designed which will showcase the beautiful scenery and historic landmarks of central Scotland, starting and finishing in the city centre. After the start, runners will make their way into the Stirlingshire countryside, past the Blair Drummond Safari Park, through Doune, Dunblane and Bridge of Allan, before completing a circuit of the University of Stirling’s campus in the shadow of the historic Wallace Monument. Another new section of the course will feature the stunning scenery of Clackmannanshire at Blairlogie, beneath the imposing cliff of Dumyat, then back towards Stirling itself, passing through the city centre where thousands turned out in 2017 to cheer the 6,500 runners on, with a brand new finish area in King’s Park, in view of the magnificent Stirling Castle. 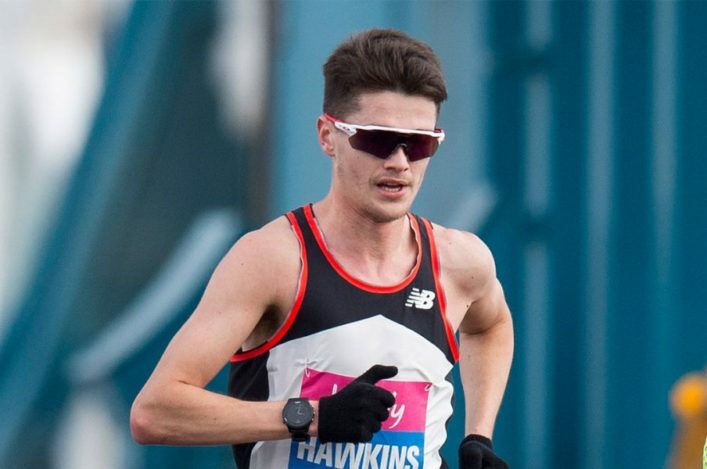 Mark Munro, chief executive of scottishathletics, said: ‘Following discussion, the Road Running and Cross Country Commission have decided to take the 2018 Scottish Marathon Champs to Stirling after a couple of years at the London Marathon. 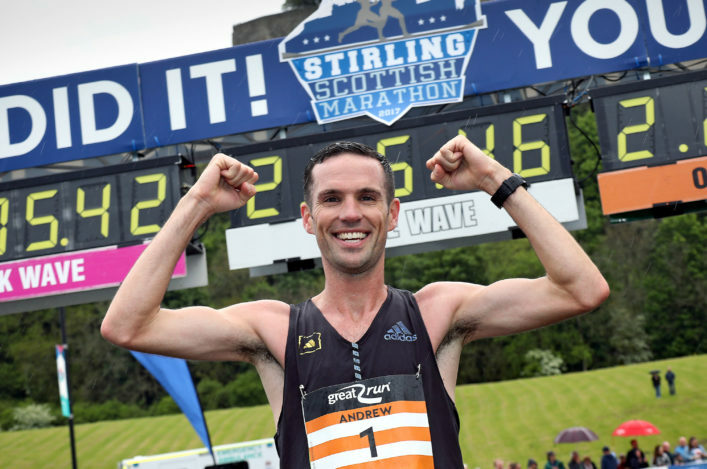 ‘I think the first Stirling Scottish Marathon earlier this year caught the imagination of many runners and, with its central Scotland location, proved very accessible and popular. The team race has been part of the event since 2009. Prior to a couple of years in London, the Scottish Marathon Champs were hosted at Inverness in the Loch Ness Marathon for five events through 2011-15. It has also been hosted by Edinburgh and Lochaber before that. 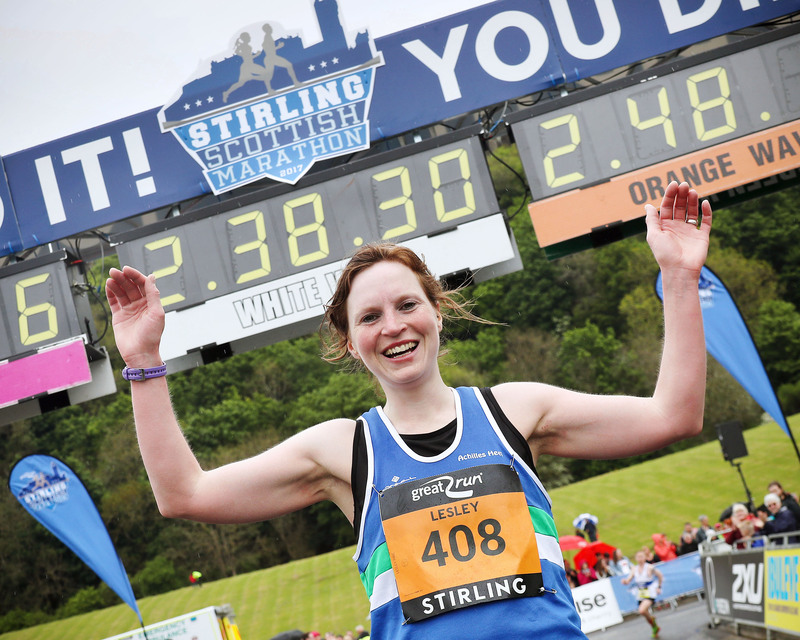 The Stirling Scottish Marathon became one of the UK’s biggest marathons in its first year and the ambition is to make the event Scotland’s biggest 26.2mile running event. Great Run Company chief executive Paul Foster said: ‘We’re delighted that the Stirling Scottish Marathon will host the Scottish Marathon Championships in 2018. ‘The Great Run Company and scottishathletics have been working together for many years, and Stirling is a perfect home for the Championships.